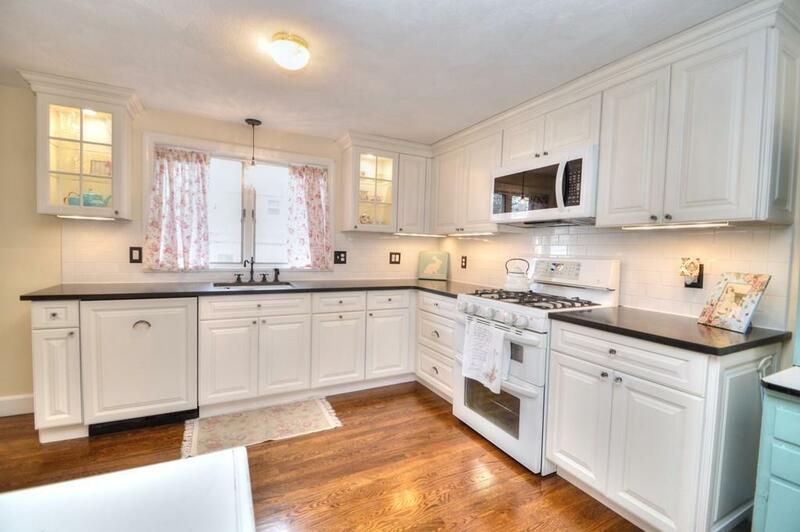 Don't miss this tastefully updated and charming Colonial in the highly desired Robin Hood School district. 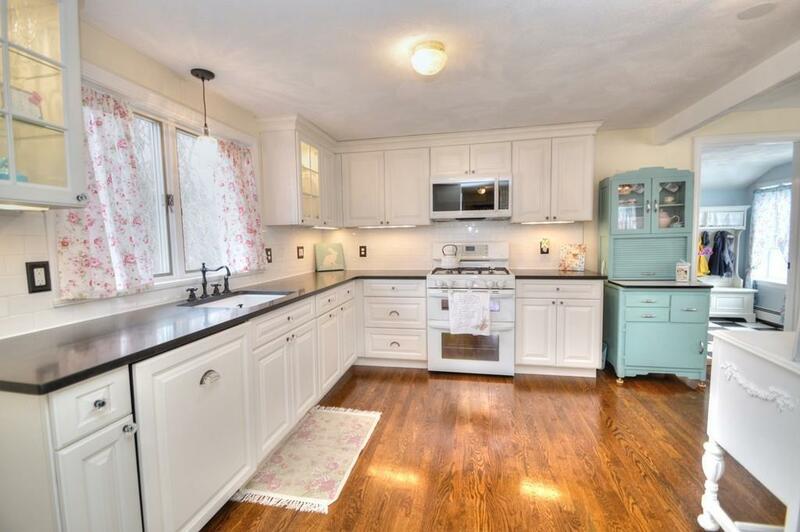 The first floor has a recently updated bright kitchen with honed granite countertops, updated appliances including a double oven and plenty of built in storage space. 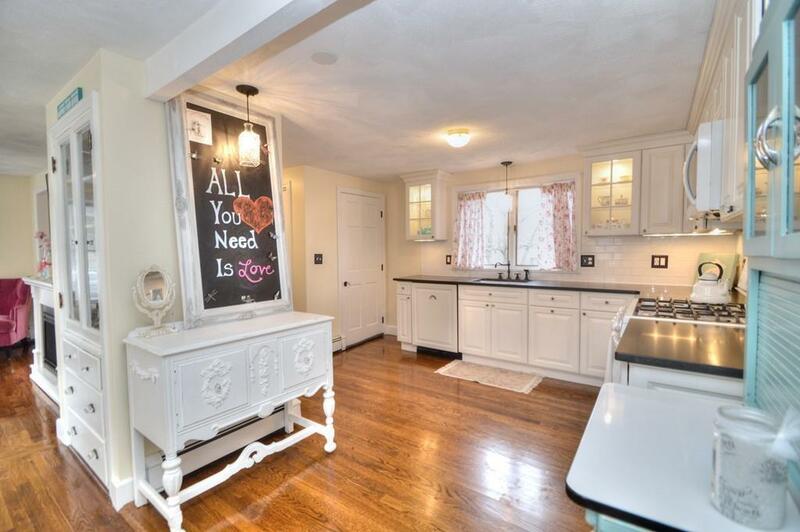 A large dining room, living room with an electric fireplace, full bath together with a newly updated mudroom make up the first floor. Three bedrooms and another full bathroom on the second floor complete this home. 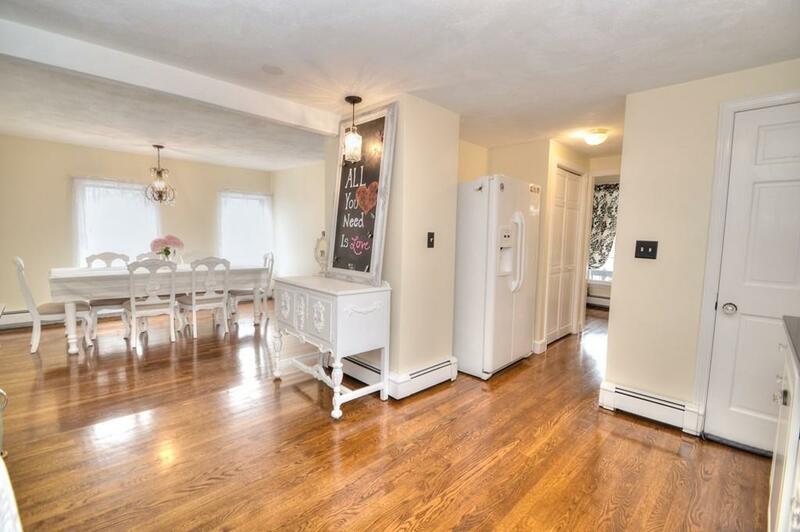 Enjoy the many recent updates including all beautiful hardwood floors throughout, freshly painted interior, a new water heater (2018), newer roof (2013), updated electrical and new interior doors and closets throughout. Parking for at least 6 cars. Detached garage used for storage. Sit on your large front porch and enjoy your summer evenings. Close to shopping, restaurants, I-93 and I-95 for an ideal commute, and all that Stoneham has to offer. Hurry, this beauty will not last!!! Listing courtesy of Karen Valente of Prestige Homes Real Estate, Llc. Disclosures Listing Agent is Related To Seller. Sale Contingent On Seller Finding Suitable Housing. Seller Has Signed Offer To Purchase. 55 inch Wall Mounted Tv in Living Room And Energy Star Washer And Dryer To Remain As Gifts. Exclusions Ceiling Light Fixture in Dining Room And in Upstairs Bedroom And Lockers in Mudroom. Sq Ft Disclosures With The Addition Of The Mud Room. Buyer And Agent To Verify Sq Footage. Listing provided courtesy of Karen Valente of Prestige Homes Real Estate, Llc.